Want to eat a burger or hotdog without worrying about the calories that come with it? Drop by Caribreeze in Spring Valley, NY and order a vegan burger or hotdog. Our vegan café and restaurant offers a great selection of entrées, light snacks, pastries, and drinks that health-conscious foodies will surely love. 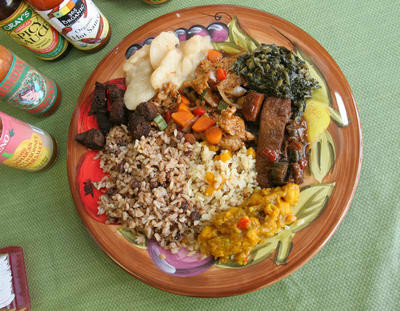 Our menu consists of Jamaican, Ital, and Caribbean vegan cuisines. Why Dine in Our Café? Any restaurateur wants to keep customers happy. Dave King, owner of Caribreeze Vegan Café in Spring Valley, doesn't stop there. He and chef Tony Monroe want to keep their customers happy and healthy. 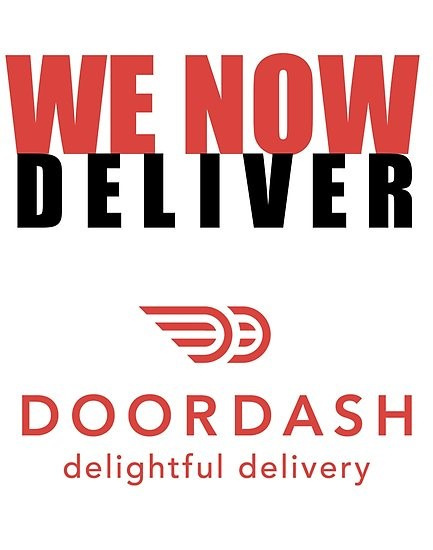 They take pride in the array of healthful foods - all-vegan, with a Jamaican accent - they serve, noting that customers appreciate the fact that the meals have balance. What they don't have is a set menu. Every day Monroe prepares a soup, a multigrain porridge and some half-dozen specials. For the latter, you choose a small, medium, or large container ($5, $7 or $8, respectively) and let him know what you want and in what proportions. Seasoned brown rice is a staple, as are one or more types of greens - often kale, collards or spinach-like callaloo. Then there are various stews, pastas, curries and other dishes that seem to embody two culinary traditions - Jamaican and hippie cuisine. Picture eating at a Caribbean counterculture commune. Tofu holds down the protein role in some dishes, legumes or soy chunks - rendered to stand in for fish, chicken, duck, beef and even goat - in others. Even if soy chunks are not normally your thing, it's worth trying the jerk version. It's spicy but not incendiary, with a hint of sweetness from the allspice. Seasoning generally, even in the curries and jerks, is tame at Caribreeze, but customers can crank up the heat by choosing from a buffet of hot sauces. One recommendation: the kidney bean stew over brown rice. Like everything else we sampled, it's tasty, satisfying and leaves you feeling, yes, healthy and balanced. Although not too virtuous, because sugar has not been banished. One of the more interesting desserts at Caribreeze is the coconut drop, a rough-looking treat that is to American packaged macaroons what the Ramones are to Abba. Rather than those finely shredded, highly sweetened and precisely extruded coconut cookies, coconut drops consist of a pile of small cubes of coconut, spiked with a hearty dose of ginger and just enough brown sugar to cement everything together. Not pretty, not uniform, but loaded with flavor and a fibrous, almost meaty texture that keeps you happily gnawing: a cookie with attitude. For a more conventional pastry, try the satisfying but not-too-sweet currant roll. The beverage cooler deserves mention because it holds some options with an island twist - Ting grapefruit soda, as well as bottles of coconut water, ginger beer, and deep-ruby sorrel, a beverage brewed from hibiscus flowers that is tangy, sweet, and spicy all at once. Caribreeze is set up more for takeout than eat-in, with only one table and five seats in the sparsely decorated storefront. Even if you chose to stay and eat there, you'll be eating from takeout containers. Still, Tony Monroe's warmth makes it a homey and friendly place to enjoy a meal. Eat without guilt, with our low-calorie vegan meals. Reward yourself with a flavorful entrée without worrying about ruining your diet. Each great tasting meal from our vegan menu is packed with nutrients that will keep you full and energized. Visit our cafe today and enjoy a wonderful and gratifying vegan dining experience.